Home > Hindu Issues > Atrocities on Hindus > Genocide of Kashmiri Hindu’s > How does the Hindu Janajagruti Samiti (HJS) organize exhibitions? How does the Hindu Janajagruti Samiti (HJS) organize exhibitions? 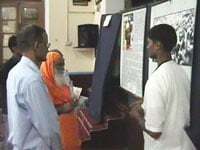 HJS generally observes the following method for organizing exhibition. 1.1 Preparations begin prior to 3 weeks. 1.2 First the town and the venue are decided and the date is fixed. 1.3 The duration of the exhibition is generally for 3 to 4 days. In metropolis it is generally for 4 days. 1.5 3-4 Prominent and respected speakers from the society are invited. 2.1 On an average 10 persons, which include seekers of Sanatan Sanstha and HJS activists, work together for over 5 days for about average of 6 hours daily. 2.2 Small groups in the society like Ganesh Mandals, Mahila Mandals are addressed and invitations are given on megaphones. 2.3 The students in the schools and colleges are addressed directly with due permission and through their teachers. 2.4 Pro-Hindu shopkeepers are told to distribute the flyers to the customers. 2.5 Nearly 10,000 flyers, 200 posters and 10 banners are prepared, distributed and displayed for publicity. Flyers are distributed through seekers of Sanatan Sanstha, activists of Hindu organizations and other Hindus helping in this cause. Flayers are distributed after explaining about it. 2.6 Help is sought from local Hindu organizations. 2.7 Press conference is held before the inauguration ceremony. 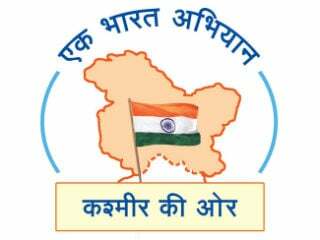 2.8 Special invitations also given to local government authorities, police, leaders of political parties, social organizations, religious organizations, prominent pro-Hindus from all walks of life. 2.9 Advertisements of the exhibitions are displayed free of charge in the four editions of ‘Daily Sanatan Prabhat’ which are published in Maharashtra. 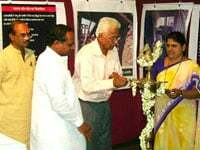 3.1 Local well-known leaders of spiritual organizations, Hindu organizations inaugurate the exhibition. 3.2 In the inauguration ceremony the coconut is offered at the entrance of the exhibition and Deep (lamp) is lighted on the stage. 3.3 Around 100 Hindus are present for the inauguration ceremony. 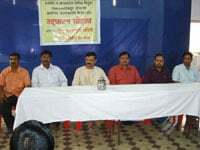 3.4 Apart from HJS speaker, 3-4 other eminent and well-known local dignitaries express their views to related subject. 3.5 HJS speaker appeals for publicity of the exhibition in his speech. 4.2 Exhibition hall is cleaned and ‘Gomutra’ (holy urine of cow) is sprinkled. Prayer is done and work is started. This is observed everyday morning. 4.3 Prayer is offered to Isht devata (worshiped deity) and to the Sthan devata (Deity of a place). 4.4 In the night when the exhibition is over gratitude is offered. 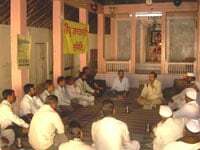 4.5 Everyday after the exhibition is over; seekers of Sanatan Sanstha, activist of HJS and the volunteers of the exhibition meet to discuss and rectify the mistakes that have occurred during the day. 4.6 The leader of the team also points out mistakes. They are helped to rectify the mistakes and correct the personality defects. 4.7 Every chart is explained to each visitor by Sanatan Sanstha’s seekers and HJS activists. 4.8 Two displaced Kashmiri Hindus visited one of HJS workshop and narrated their experiences. The VCD of their experiences is displayed to the visitors. It is accompanied by 10 minutes documentary ‘And the world remained silent’. 4.9 Those who visit the exhibition are requested to take flyers for distribution. 5.1 One form is provided to all visitors to give their comments. These forms are collected and the curious visitors are followed up by HJS members. 5.2 The curious are told to meet regularly and are invited to participate in all the future meetings for cause of Hindu Dharma.